Calling all George Jones fans! 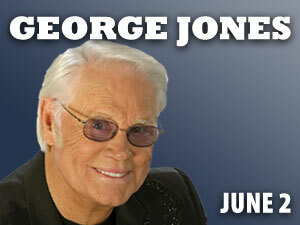 The George Jones concert (originally scheduled for June 3, 2012) has been rescheduled for Sunday, June 2, 2013 at 3:00 p.m. Tickets are $65 and are on sale now. Don’t miss George Jones on his final tour. Call the Box Office at 800-648-4102 or click here to get your tickets now!